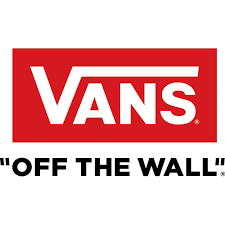 VF is looking for a supply and demand analyst to join the Vans EMEA family. This position is based in Stabio, Switzerland. * Ensure the On time Performance Targets (to customer) are met. * Approves all AF requests, efficiently using the Airfreight budget. * Drive for improvement on Supply & Demand match. * Responsible for producing Service Metrics reports on the Supply and Demand match at sales order and style level. * Works closely with Planning, CS teams, DC/X-dock teams, Sourcing, Inbound Logistics, Sales Operations. * Drive for improvement on the Order Coverage, Order Allocation & order conversion through analysis and working closely with Customer Service, SAT, Planning and Supply Chain Analyst. * Work with Customer Service, Planning and SAT on the Order book Quality, drive improvements where necessary. * Advice to anticipate or postpone shipments where required in support of Service or Inventory targets, efficiently using and staying within the Airfreight budget. * Prepare the prior month order conversion results and next month Forecast in support of the monthly financial Forecasting Process. * Monitor and provide weekly updates on Order conversion. * Support the closing of direct shipments in JBA allowing the invoicing of Direct Shipments by Customer Service. * Closely monitor on time availability of Hard Launches/Key Initiatives ahead of the shipping deadlines and responding to any (potential) delay. Guarantee enough time to meet a required in-store date. Evaluate all the possible corrective actions (air shipment, PO prioritization) to guarantee the service level in line with customers/brand requirements. * Publish a bi-monthly report (mainly to CS and to other involved departments) focusing on Hard Launches/Key Initiatives. * Attend bi-Monthly calls with Logistics team to discuss on prioritization, logistics KPIs and open point with freight forwarders and report them to Management. * Monitor and report on Order Coverage Performance KPI’s as part of the Brand and executive S&OP cycle and ensure critical issues are elevated to Senior Management. * Provide input to the bi-weekly OPS Dashboard on order Coverage & Conversion as per the set calendar for weekly and periodical items. * Develop, Coordinate & Publish monthly Order book quality and Order Book Conversion results to be incorporated in the S&OP reporting cycle. * Investigate and propose opportunities for improvement and elevate to OPS Management any issue of material concern. * Develop, implement, publish and comment automated Reports as agreed with OPS Management. * Other assignments, presentations and projects as assigned by Line Management. * Backup the Supply Chain Analyst. * Advanced Analytical skills and ability to interpret large data sets. * Proactive, problem solver, flexible and with a “continuous improvement” mind-set. * Strong work ethic with ability to work independently and achieve deadlines. * Strong communication skills verbal and written. * Advanced knowledge of MS Excel. * Ability to work within a dynamic working environment with changing priorities change, whilst meeting key deadlines. * Be part of an iconic lifestyle brand. * Join a multi brand, multi countries organization to drive you career forward. * International, fun yet challenging working culture.